Twynsunz specializes in creative graphic design and artistic mixed medium to produce innovative products and entertainment illustration. Our company works with licensed properties such as, Marvel Entertainment, DC Comics, Star Wars, and many more. Enjoy working with our efficient design team, creative ideas, and personal service. Just email Twynsunzgraphics@cox.net to get your project started with us today! Through the talents of Twynsunz artists Mick, Matt, and Kathy Glebe, our pop-culture, retro, and unique items are constantly in creation of bringing you hand–made fun wearables, collectibles, and trendy art-inspired products. Ware! Share! Gift! And collect HERE! Got Glebe? Share it with #GlebeArt on Facebook, Twitter, and Instagram. All characters, logos, TM, and or © remain property of their respective owners. All rights reserved. 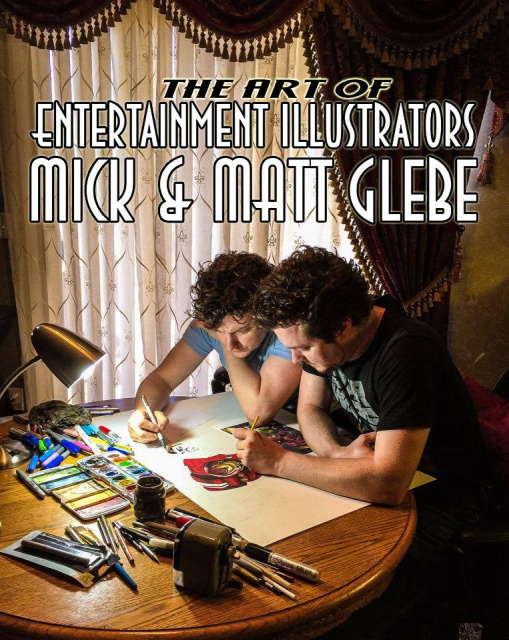 All artwork illustrated by Mick & Matt Glebe are © Twynsunz, Inc.